Hand symbolism can be both intricate and simple. As they are parts of our bodies, most people use them every day. They are used as a utility, to complete tasks, and to express one’s self in a way that words often cannot. This makes them highly diverse and open to interpretation by the receiver of the action. However, we can also break down the basic and general symbolism associated with our two hands. 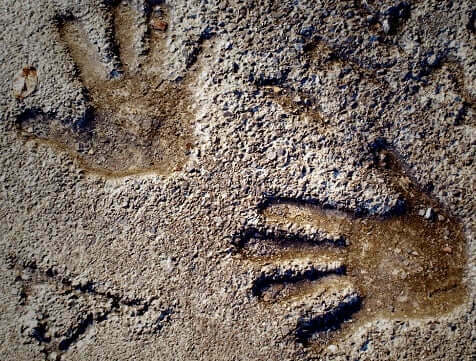 For instance, we can first note that we naturally possess two hands, meaning that we can make connections between hands and the numerological values associated with the number “two”. This number two represents the duality that we find in all of life and the universe. Anything that can be broken down into a double-fold can thus be associated with hands: light and dark, male and female, good and evil, life and death, etc. 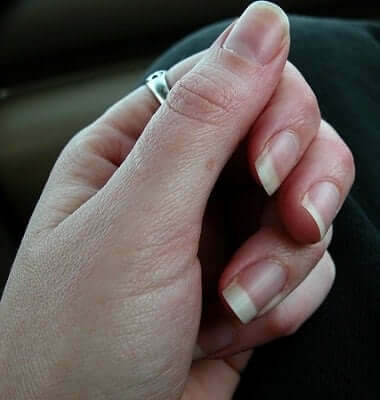 Two hands can also be seen as physical manifestations reminding us of the important balance that must exist in the universe and within you internally. Our hands also remind us that we always have a choice regarding our choices and actions. Hand symbolism has also been present in ancient cultures of the past. In the Celtic language of symbolism, hand symbol meanings were connected to authority and power. For example, a King (Nuada) lost his throne due to losing his right hand in battle. Thus, without a hand, a man was no longer a whole man, as he could not be balanced in his judgement. Spiritual power also presented itself in the hands, which were believed to harbor the energies from the gods and goddesses. Beliefs regarding hand symbolism have also survived to be relevant in modern day. Asian cultures, for example, use the hands to demonstrate yin (left) and yang (right) energies. Peoples of this continent also concur that hands that are hidden in artistic works are indicative of humility and a necessary offering of respect. Although many possible interpretations exist when concerning the symbolic meanings behind hands, there are many generalities that we can look at from a utility perspective, as well. These include senses of skill and power, action and purpose. We use our hands for almost everything that we do, making their purposes multi-faceted. When venturing to interpret the symbolic meaning of them, it is important to examine the gestures that they can perform and/or what they are doing within certain situations. Both the ancient Hindus and Buddhists recognized this and developed the mudra system, which explained the significance of hand and finger shapes by developing an intricate, creative language specific to them. Furthermore, we can observe other symbolism just by studying the position of any given person’s hands. For example, clenched fist show a tension residing within the person. They may be withholding something, whether intentionally or not, or suppressing some type(s) of strong emotion. Alternatively, gently clasped hands are symbolic of a relaxed unification, partnership, or allegiance. When one has his/her hands folded, you might assume that they are deep in thought, contemplating something deeply. It might also indicate a relaxed contentment. In most cultures, placing one’s hands to one’s chest is a sign of sincerity, greeting, and/or devotion, as that is where the heart is located. Raising the hands to the sides of the body gives off vibes acceptance and openness to others around, while raising the hands above the head historically depicts surrender. Lastly, we can further break down hand symbolism into specific qualities assigned to each hand. The left and right hands symbolically stand for separate (usually opposite) traits in a person: passive and assertive, emotion and logic, receiving and giving, and justice and mercy, respectively. 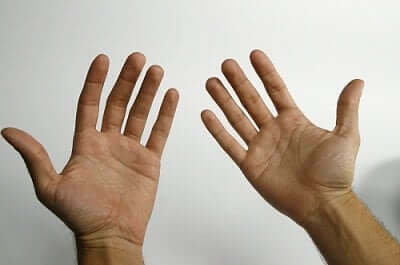 Our left hand also symbolizes the unconscious side of our minds, while the right is connected with our conscious thoughts and actions. The left hand is also thought to be the maternal, lunar side of our being with the right channeling masculine, solar energies. We can use these inklings consciously, making sure to use the most suitable hand for the most suitable tasks.